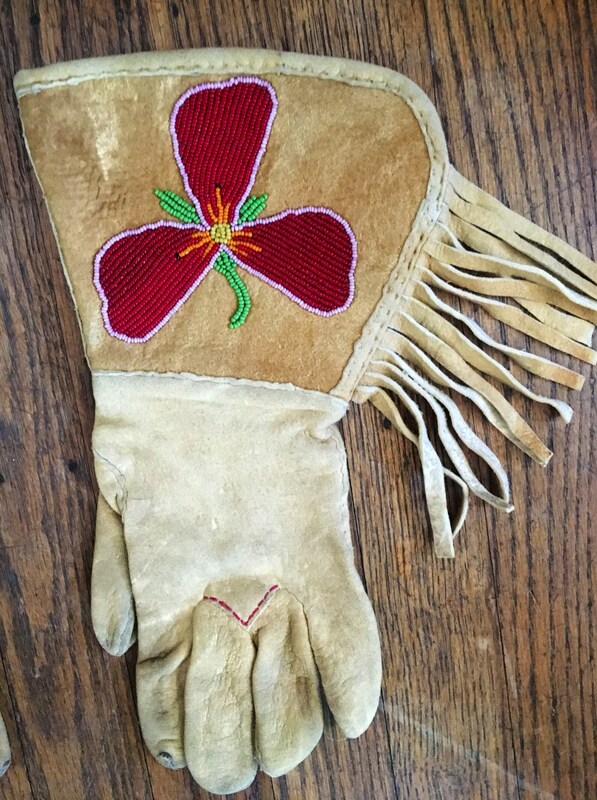 This incredible gloves belonged to my consignors mother. 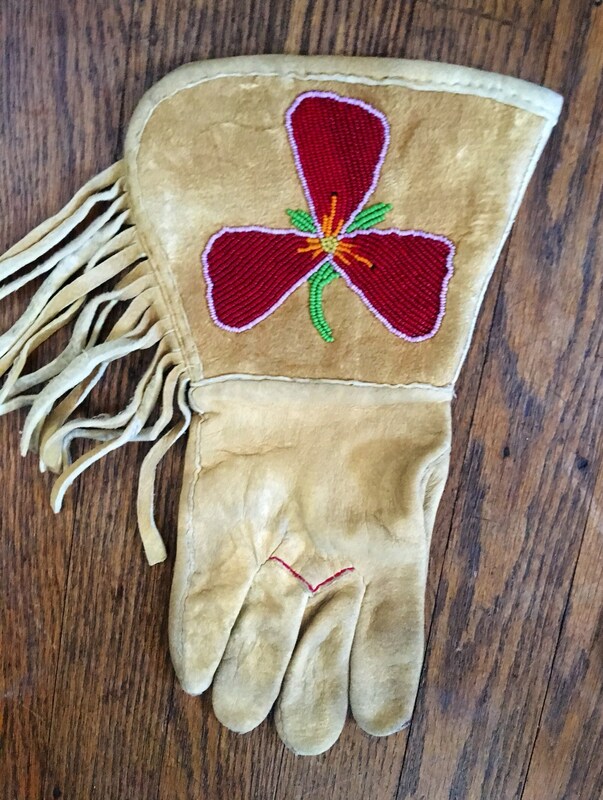 They were mad by native Americans and hand beaded in the 1930s. 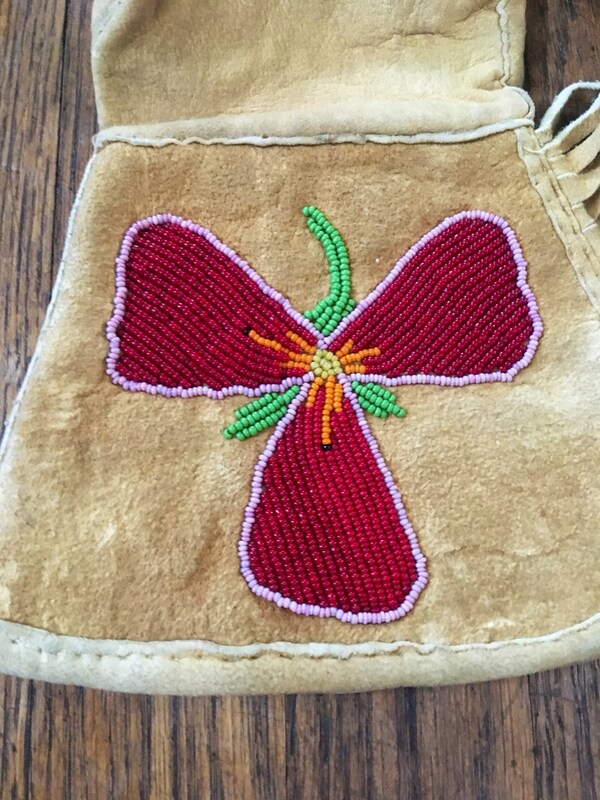 The beading is in the shape of Irises in cranberry, pink, green orange and yellow. 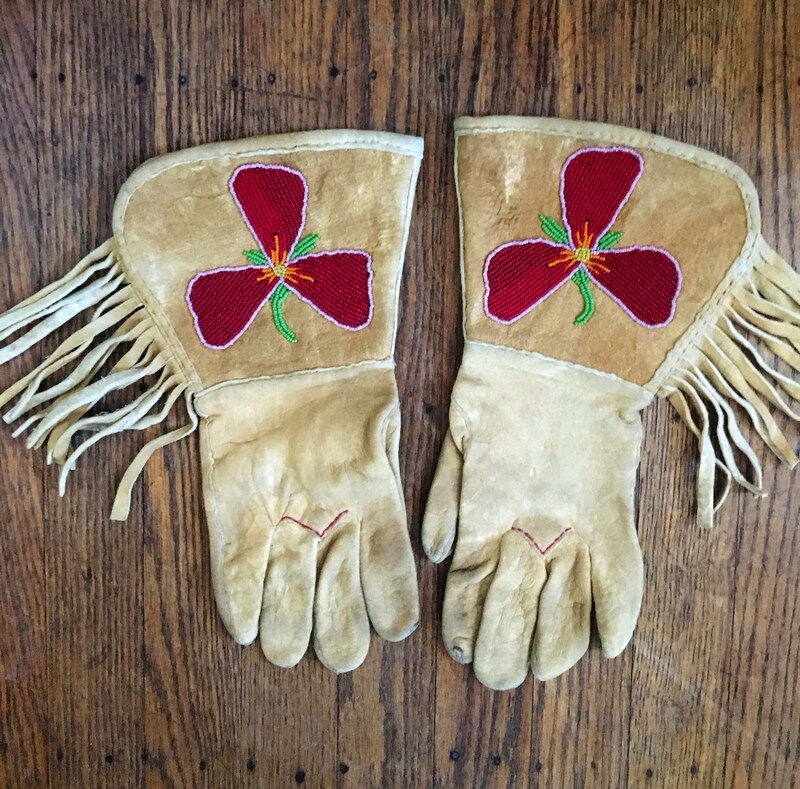 The wrist area looks suede but the fingers and below the wrist are a soft leather. 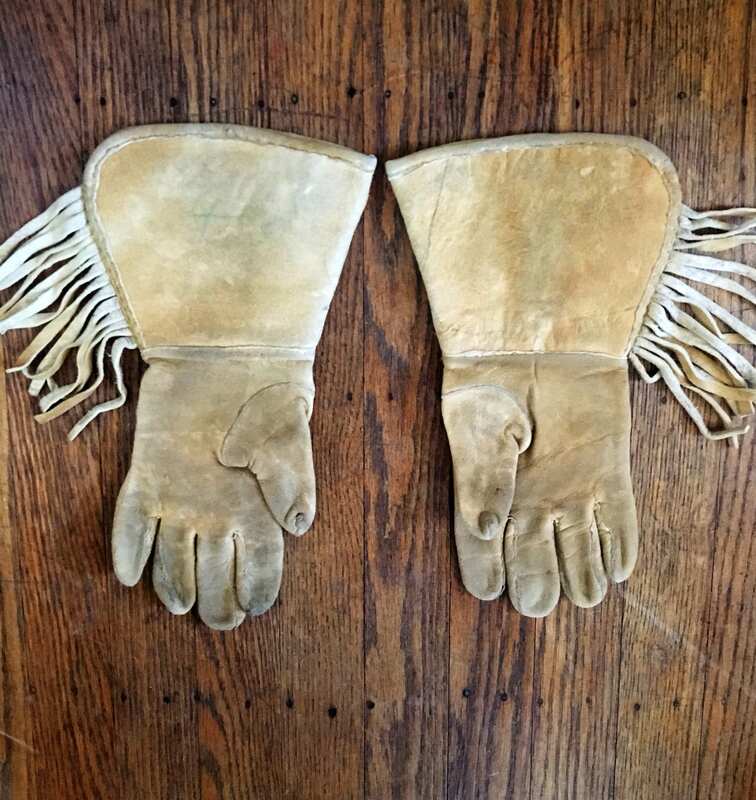 The gloves look like they might have be n worn but are in fantastic condition. 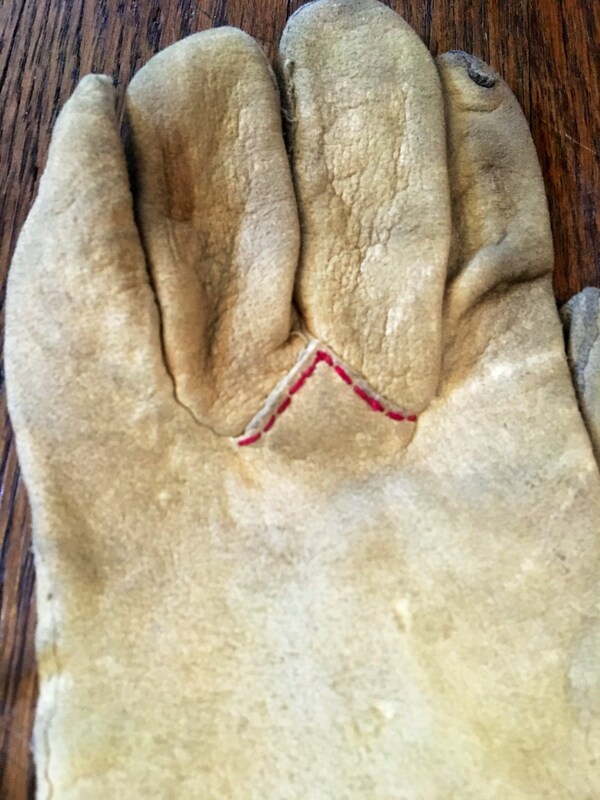 On the back of one glove in a faint green is the number 4. I am wondering if that was the original price. On the other glove in the back on the wrist area are two faint dark lines which might come off with cleaning. The hands are slightly soiled. I am rating this as being in EXCELLENT Minus condition. I believe they would be a 7/8 size on the larger side of 7.